When working for ActioNet, you will find out very quickly how important it is to be involved in the local community. 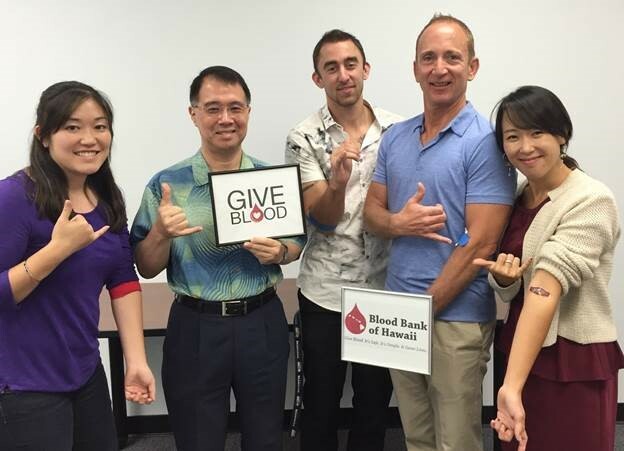 To round out the month of May, ActioNet team members from the Global Operations Business Unit in Hawaii took the time to donate blood to the Blood Bank of Hawaii (BBH) so that the BBH can provide it to someone else that really needs it. 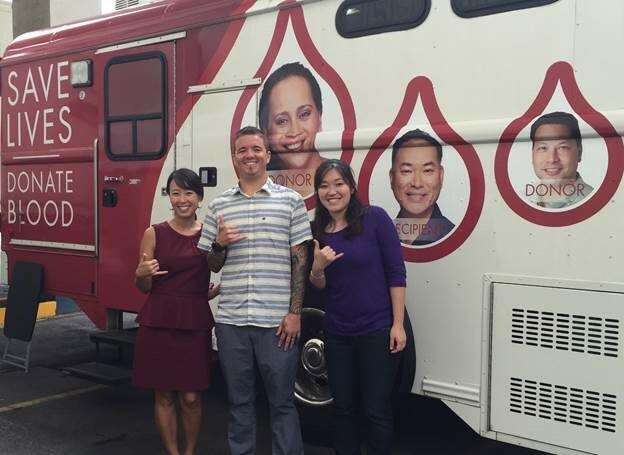 The BBH provides lifesaving blood products to 17 civilian hospitals statewide with two main centers where donations are taken along with two bloodmobiles that travel to many communities across Oahu. The Blood Bank of Hawaii has assisted in saving lives for many years and it is a great honor for us at ActioNet to be able to contribute to such an important organization. Donating blood is a small gesture compared to the miracles that it can provide. To know more about the Blood Bank of Hawaii or if you are interested in donating blood, you can find more information on how to do so online at www.bbh.org. ActioNet, Inc., headquartered in Vienna, Virginia, is an SEI CMMI® Level 3, ISO 20000, ISO 27000, ISO 9000, HDI-certified, woman-owned IT Engineering Services Firm with strong qualifications and expertise in Cloud-based Solutions, Cyber Security and Agile Software Engineering. As a Mission-Focused, Client-Centric and Results-Driven organization, ActioNet also follows the Project Management Institute (PMI) methodology as well as Information Technology Infrastructure Library (ITIL) standards. ActioNet has outstanding past performance, as evidenced by our “Exceeds Customer Expectations” rating from Dun & Bradstreet and a 92 out of 100 rating from Open Ratings. ActioNet holds the highest 5A1 Financial Rating from Dun & Bradstreet. ActioNet was designated one of the Best Workplaces for Commuters℠ by the Fairfax County Department of Transportation (FCDOT) 2013-2016 and Washington Post Top Workplaces 2014-2015. ActioNet was awarded the 2014 National Capital Corporate Growth Award, the highest of the growth categories, by the Association for Corporate Growth (ACG) and Washington Technology Top 100 2012-2015. Most recently, ActioNet was named on the Washington Post Top Workplaces 2016 for the 3rd year in a row.